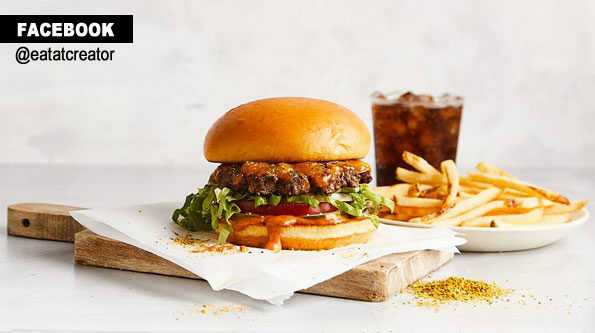 CNBC: Creator, a culinary robotics company, is opening a restaurant in San Francisco where burgers are made autonomously by a robot. The machine does everything from grinding the meat to slicing toppings for every individual order. Creator opens to the public in September 2018. Better not call it a culinary robot. Creator claims to have created a culinary experience — not just a machine. The experience includes the diner, the chef who uses the instrument, the dining experience, and the designers who created these robots. According to CNBC’s report, machine consists of 20 computers, 350 sensors and 50 actuators that form a robotic assembly line. After the dining customer places an order with a human, the machine grinds and cooks the meat. The burger is pushed along a unique conveyor belt with a flip mechanism, while it gets additional toppings that are all sliced to order. Creator brioche buns are locally-baked every day. They’re sliced, buttered and toasted to order so they stay fluffy and fresh. Creator offers two cheeses to choose from each day including Cheddar, Smoked Cheddar, Sharp Cheddar, Gruyere, Monterey Jack, — grated and melted to order. Creator offeres 12 seasonings: standards like sea salt and black pepper and special blends like chipotle sea salt, alderwood smoked salt, adobo and Persian lime pepper. Creator uses GAP 4 rated anti-biotic and hormone free, pasture raised brisket and chuck come from a coop of family ranches on the west coast called Country Natural Beef. We supplement with all natural product from Creekstone Farms.